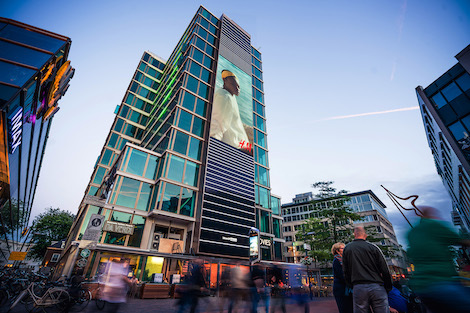 Reaching over 1.5 million people per week, The Collective is a new network of premium large format digital screens situated in some of the most iconic city centre locations across the Netherlands. 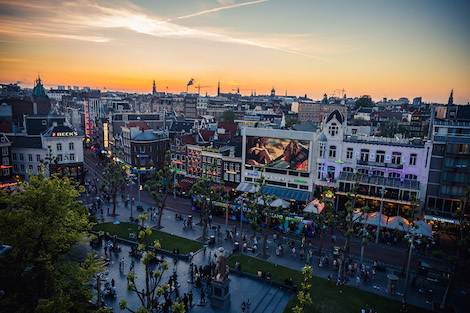 blowUP media CCO Ernst Vos told us “The inspiration behind The Collective® was an opportunity to create landmark communication channels and partner with cities, rather than simply hosting advertising within them. To allow innovative, global brands to create and share meaningful content which will captivate and inspire audiences to engage and interact with them. Each site is a true landmark in its own right. By becoming a universally recognisable icon within the landscape, advertising with The Collective provides the perfect platform for a brand’s creativity. The content can be as disruptive, thought-provoking and exciting as possible whilst simultaneously creating a welcomed addition to the landscape. The screens themselves are situated in prime position to attract the attention of the diverse audiences living, working and socialising across three cities. blowUP media has pioneered the Giant Poster business in Europe over the last 25 years by giving the world’s biggest and most cutting-edge brands the opportunity to reach their audience with big, bold, compelling advertising messages. By adding The Collective alongside their classic Giant Posters, we are told that blowUP media are now able to be more targeted, more flexible and more dynamic in their advertising solutions. 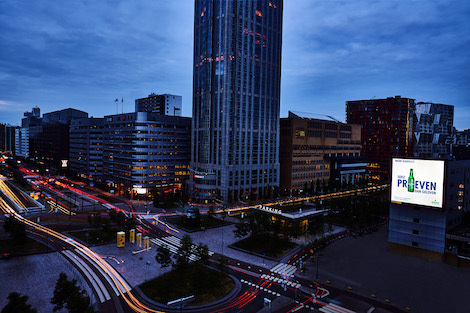 The press release also stated that by exploring the technical capabilities that this digital network offers, it allows cities to become smarter and brands to be more connected. blowUP media has a long heritage of creating prestigious advertising opportunities. With the addition of a digital offering, it allows them to continue paving the way for what is possible with new technology, data and real-time relevance. By combining exceptional impact with mobile interaction, it allows brands to form more memorable and meaningful connections with their audiences than ever before. This entry was posted on Sunday, July 16th, 2017 at 15:28 @686 and is filed under DailyDOOH Update. You can follow any responses to this entry through the RSS 2.0 feed. You can leave a response, or trackback from your own site.